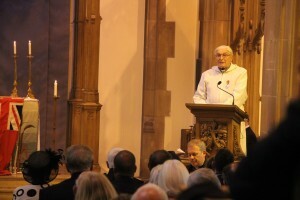 IOBA members present; Mrs P A Brown MBE MStJ JP DL MNM : Hon IOBA Member, Revd Canon. 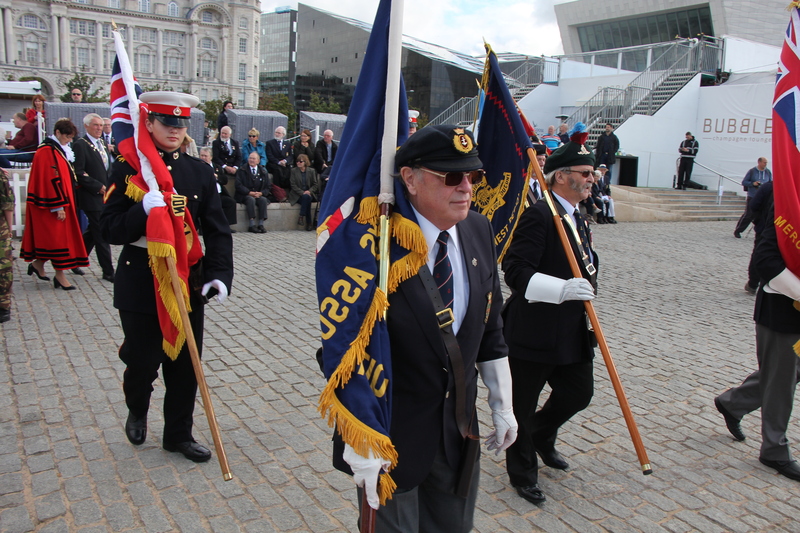 (Bob) Evans : Hon IOBA Member, Martyn Hunt 82/85 IOBA Vice Chairman, Tom Keyes 63/64: IOBA Treasurer & Membership, Pat Moran: Hon IOBA Member, John Farrell 49/50, Russell Jones 55/56, John & Val Aspinall 59/60 & Steve Humphries 75/76: IOBA General Secretary & Archives. 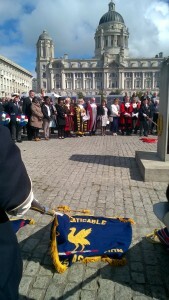 Merchant Navy Service and parade from Church of Our Lady and Saint Nicholas to the Pier Head memorial, Liverpool. 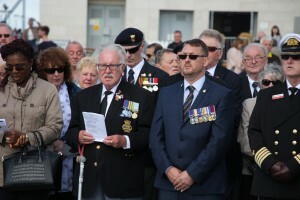 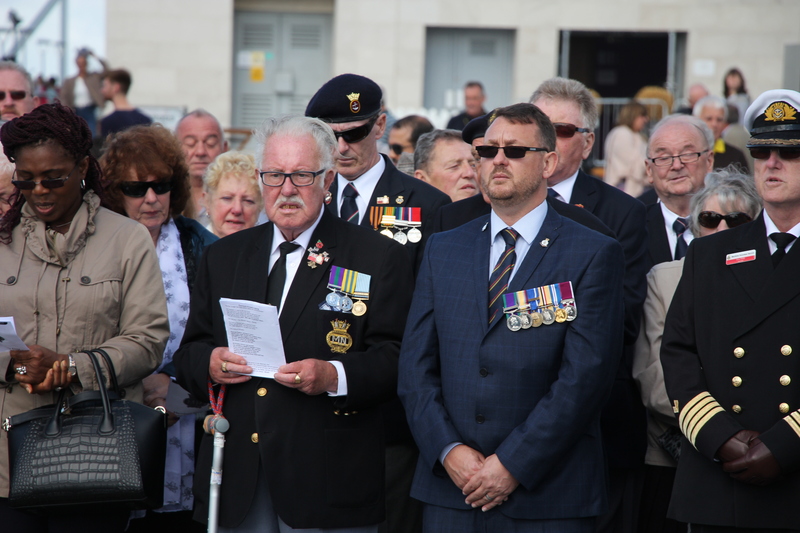 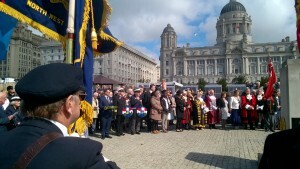 The annual National Merchant Navy Day celebrations took place in Liverpool on Sunday 4th September. 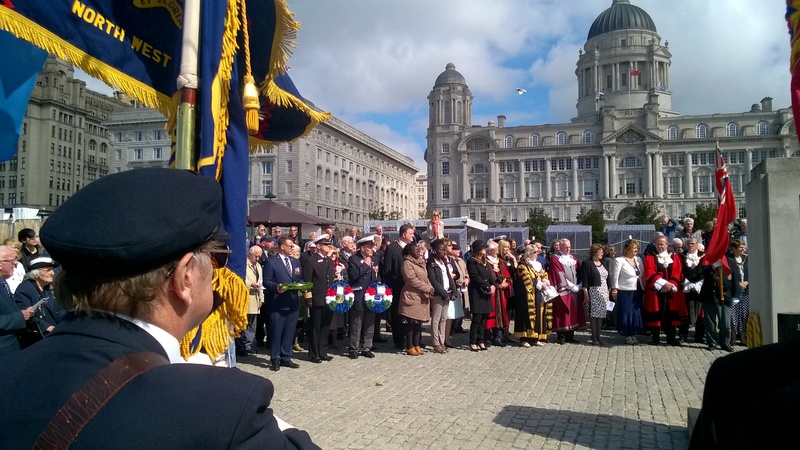 A service took place at Liverpool Parish Church in Chapel Street and was followed by a short march to the Pier Head memorials, where wreaths were laid. 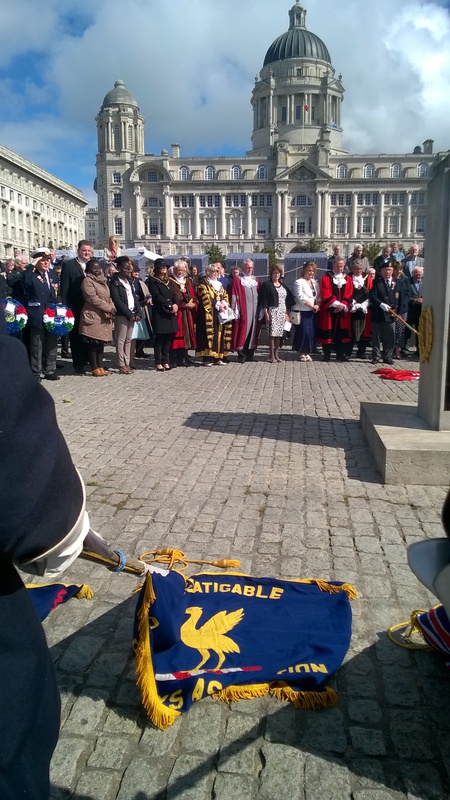 Among the civic dignitaries attending was the Lord Mayor of Liverpool , Cllr Roz Gladden. Merchant Navy Day is the annual celebration of the British Merchant Navy, with the memorial service held for the 36,000 seafarers who died at sea in the Second World War. 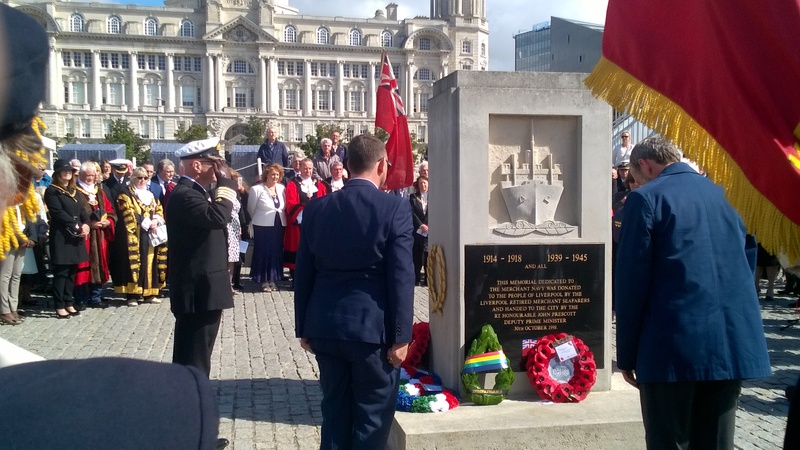 The service was attended by diplomatic representatives of Britain’s allies during the war, who paid homage to their own considerable losses of merchant seafarers serving in British ships. 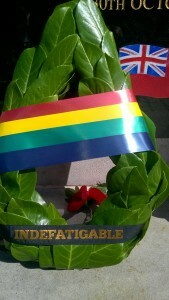 Wreaths were laid by, among others, the Indefatigable Old Boys Association (IOBA), Merchant Navy veterans, High Commissioners and naval attaches from many countries linked with the Port of Liverpool, including the Canadian Navy.